Franchising really began to blossom in the post-war 1950s and 1960s. Franchisors of convenience goods and services seemed to be popping up on every corner. McDonald's, Kentucky Fried Chicken, laundry services, dry cleaners, hotels, and rental car franchises flooded the marketplace. One of the early franchise behemoths, McDonald's, opened 1,000 units in just 10 years. Midas Muffler reached 400 locations, Holiday Inn grew to 1,000 locations, and Budget Rental Car topped 500, all during the same period. But growing pains were becoming evident, and by the end of the 1960s trouble was brewing. Many franchisors had begun focusing more on the sale of franchises than on supporting and operating successful franchise systems. Others made misrepresentations in how they recruited prospective franchisees. There were other problems as well. These misrepresentations led some states, like California, to enact laws governing the disclosure of information to potential franchisees. These states required the franchisor to deliver to a potential franchisee a disclosure document providing information on the opportunity. But it took until the summer of 1979 for the Federal Trade Commission to issue the Franchise Rule, which established minimum disclosure requirements throughout the country. After a period of cooling and oversaturation, franchising began to make a comeback of sorts during the late 1980s and early 1990s. This growth has continued, with some ebb and flow, steadily through today. According to FRANdata, an industry research company, there are more than 744,000 franchise businesses in the U.S. These businesses support nearly 7.6 million direct jobs, and yield $674.3 billion of economic output for the U.S. economy (2.5% of the U.S. Gross Domestic Product GDP). As it has always done, the franchising model continues to evolve and adapt. For example, over the last decade, multi-unit franchising has emerged to play a significant role. No longer content to operate a single standalone franchise unit, many savvy and aggressive franchisees have opened up several units, and some, even several different brands. 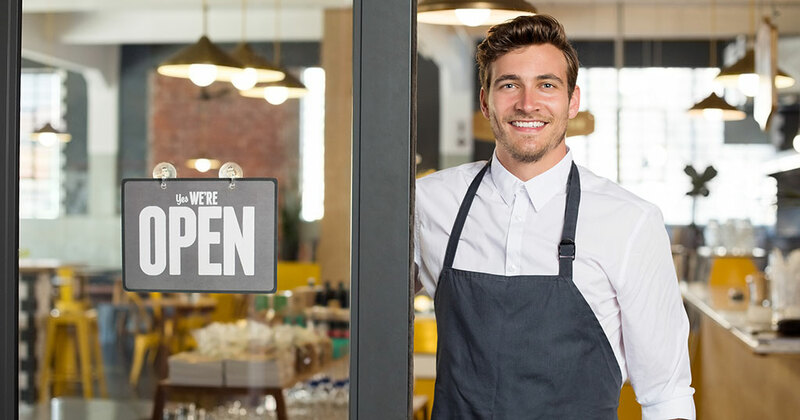 The franchising model works because it provides a formula for operating a successful business by delivering a uniform product and service to customers. It provides franchisors with the capital they need, creates distribution channels, and gives consumers a recognized standard of what to expect and a higher perceived value. Done right, it's a model that benefits business owners, operators, and customers alike. As the French might say, "Vive La Franche!" An estimated 3,383 franchisors operate in the U.S.
One in seven businesses is a franchise. Varying based on many factors, we see on average 1-2 new brands each day. An average of 300 new brands start franchising each year. 744,437 franchise establishments are expected to be operational by the end of 2017. IFA estimates that the number of franchise establishments increased by 1.7% in 2016 y-o-y, and the expected growth rate for 2017 is 1.6%. About 53% of all franchised locations in the United States are controlled by multi-unit operators. Close to 50% of franchise concepts are local brands, and another 34% are regional brands. 29 industries use franchising as a business model, spread across 226 sub-sectors. Majority, 63% of franchise concepts are non-food brands, while only 37% franchises are classified as food-related brands. Franchise business model supports nearly 7.6 million direct jobs, and yields $674.3 billion of economic output for the U.S. economy i.e. 2.5% of the U.S. Gross Domestic Product (GDP). Average initial investment level for nearly 1 out of 2 franchises is less than $250,000. In 2015, median average revenues generated by franchised units were $710,726, with over 50% of the brands generating more than the median topline revenues.